We have all heard the term Golden Age of Magic. I'm not really sure if there is a true beginning and ending to the Golden Age, but my guess would be 1890-1930. This is when magic really took off. Kellar, Houdini, Thurston, Blackstone, Dante and others ruled the stages. After 1930s, magic certainly continued but with the death of Vaudeville and the advent of movies and TV magic lost it's once mighty place in the world of showbiz. 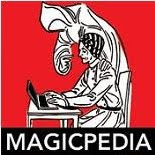 Magicians know that magic continued and saw the rise of different kinds of magic, the manipulators, like Cardini worked nightclubs. Illusionists like Jack Gwynne changed their acts so they could work in the round on dance floors. And of course, there was the rise of the close-up magicians with men like Dai Vernon, Charlie Miller, Ross Bertram and others. Magic was forced to adapt and it did, but with the death of the traveling illusion show, magic faded from the eyes of the general public for the most part. 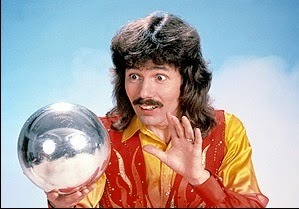 In the 1970s along came Doug Henning. He is credited with ushering in a second Golden Age of Magic and I think that's true for the most part. But there were others, Mark Wilson was setting the stage before Doug and even after Doug. David Copperfield came along just at the height of Henning's fame and David continued to carry the torch. Suddenly in this second Golden Age of Magic, we had Copperfield, Henning, Wilson, Blackstone Jr., Siegfried and Roy, Penn and Teller, Lance Burton and others. That flame seemed like it was going to burn for a long time but it was put out (in my opinion) almost over night by a guy named Valentino. And once again, magic seemed to slip away from the public consciousness. Within the magic world, things were red hot. Close-up was the big craze and it was moving leaps and bounds over all the other types of magic. Folks like Paul Harris, Michael Ammar, John Carney, David Williamson, David Roth and others were now the big stars. Just when we thought there would be no more magic on TV, some kid named David Blaine showed up and rewrote the book on magic. David Blaine, like Henning before him, ushered in a whole new style and type of magic, Street Magic. Granted it was really close-up magic, but it was close-up stripped of the bells and whistles. It was highly visual magic that was often 'in your face'. No more tuxedos, no more big boxes, no more rabbits, magic was going in a new direction. I can't say that David Blaine ushered in another Golden Age. I think what he did was keep magic alive and change what audiences thought of magic. Magic was becoming more psychological, more mystifying, frankly more amazing. The mentalists began to rise! Sure, we know they were there all along, but now they were out on the forefront. Folks like Banaceck, Derren Brown, Keith Barry were taking magic to places no one ever dreamed. 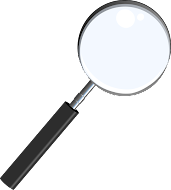 Magicians and Illusionists jumped on the mentalism bandwagon and mixed their magic with feats of mentalism. It was during this time, I would read on blogs and in magic magazines how some thought magic was dead. Some writers felt that magic was probably on it's last legs and because of the way technology was changing, we would soon all be gone. For the record, I've been hearing the doom and gloom scenario from magicians for years. Ages. Magic is burning on all cylinders. Close-up is at an all time high. Card Magic has spun off into various directions, one of which is Card Artistry and there are a ton of people, guys and girls who are dominating that arena. Stage magic is seeing a resurgence, and a fresh one. Again, magic is no longer a males only club, Alana from Germany has got one of the best and most original magic acts out there. Illusion Magic is coming back in ways I never expected. Barry and Stuart from England do comedy magic with illusions and stage props and are killing it! Topas from Germany is adding a fresh spin on everything he touches. There are 4 unique touring illusion shows right now. The Illusionists, The Illusionists 2.0, The Illusionists 1903, and Masters of Illusion. Audiences are going nuts over these shows. Standing ovations nightly. I do not think there has been a time in the history of magic when magic was hotter than it is now. On TV, The Carbenero Effect, Wizard Wars, Penn & Teller Fool-Us, Masters of Illusion, Steve Cohen's History Channel Special Lost Secrets of Magic, and the recent HOUDINI Miniseries. That was just last year! There were even MORE TV Magic Shows in England and Europe! The MAGICIANS was huge show in England, Derren Brown's TV Specials are big hits, Dynamo is a household name in Europe because of his TV show. I understand there is a lot more magic in the works for 2015. The Platinum Age of Magic is here my friends. Ride The Wave and let's hope it lasts for a quite a while! Tomorrow, I will be attending The Illusionists Show at The Kennedy Center, so expect a review in a few days.